Midway Chevrolet is pleased to announce the upcoming expansion of their auto inventory. For years, the Orwell-based car dealership has specialized in the sale of Chevrolet vehicles. It will continue that pattern in 2019 with the release of the new Silverado pickup truck line. The 2019 Silverado has been completely revamped with all new features for enthusiasts to enjoy. Durability is one of the truck’s key features. Some models also come with a one-year trial for SiriusXM. Midway Chevrolet is also expanding their general inventory. Customers can come to the dealership to find a much wider variety of Chevrolet vehicles than what existed previously. Buyers can now choose not only from Silverado models, but also vehicles like the Cruze, Traverse, Malibu, Equinox, Tahoe and Suburban lines. The company hopes they will better be able to meet buyer demands through their offer of a broader spectrum of vehicular choices. From the beginning, the company has always strived to put their customers first and provide the utmost satisfaction. 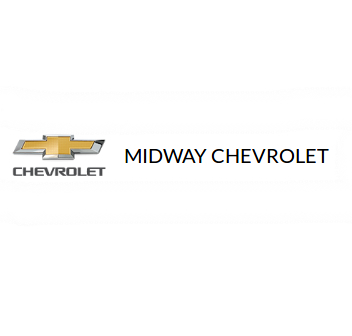 Anyone interested in learning more about Midway Chevrolet, their inventory and their services can get in touch by calling 877-267-1521 or visiting their website. About Midway Chevrolet : Midway Chevrolet specializes in the sale of Chevrolet vehicles to customers all across the NE Ohio region. For more than a century, the dealership has catered to the residents of Lake, Trumbull and Ashtabula Counties, as well as neighboring communities, all for the sake of helping them fulfill their vehicle-related needs. Midway Chevrolet strives to provide excellent, helpful service and high-quality vehicles.